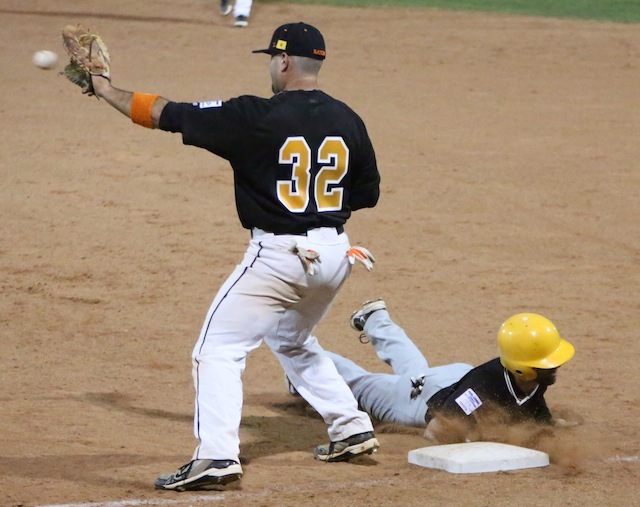 RATON � The story of Wednesday�s season open between Raton and Trinidad was Trigger pitcher Tony Smith, who threw a no hitter for eight full innings before finally giving up his only hit in the top of the ninth. 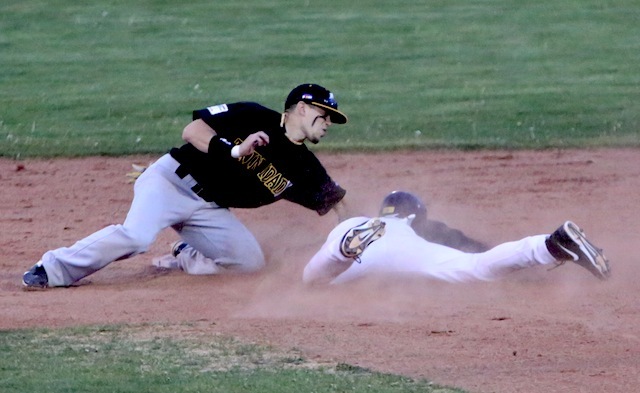 But the Osos had nothing to be ashamed of, as after the got that hit, they got three more, closing what was a 5-1 game to 5-4 before Trinidad reliever Mike Mullen got the final out. Smith � who hadn�t thrown more than two innings in any spring training game, was supposed to only throw six innings or 800 pitches, whatever came first. But, Droddy said, he couldn�t pull him while he was throwing a no-no, so he staying in until that first hit. 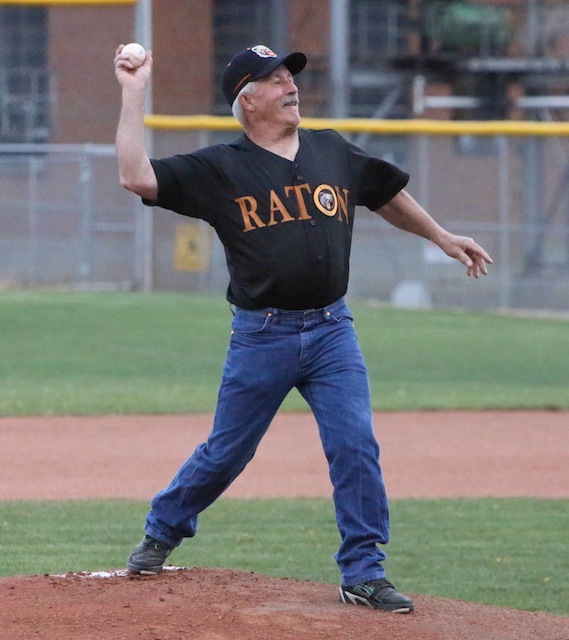 The Raton pitchers didn�t do badly either, giving up only 10 hits and five runs. Starter Willie Frederick hit Matt Hunt, the first batter he faced, then a passed ball and a single by Frank Florio made it 1-0 Trinidad. 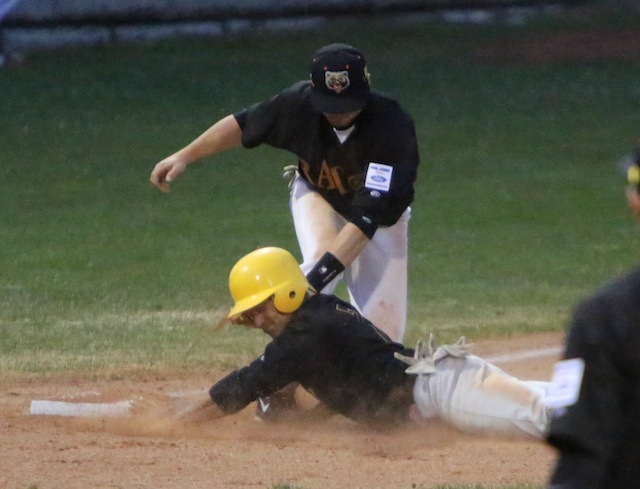 The Triggers added two runs in the fourth on singles by Will Leonard, Mike Goldy and Jeff Lucero and a Raton error, and two more in the fifth on an Andrew Azzopardi triple, Smith RBI single, Florio single and another error. The only Oso run through eight came in the fourth when Wayne Lewis reached on a dropped third strike, advanced on a passed ball and scored on an error. That put the game at 5-1 when Smith came in and gave up his only hit, to Stedman Smith. Mullen gave up a single to Wayne Lewis, then got the next two batters he faced out. 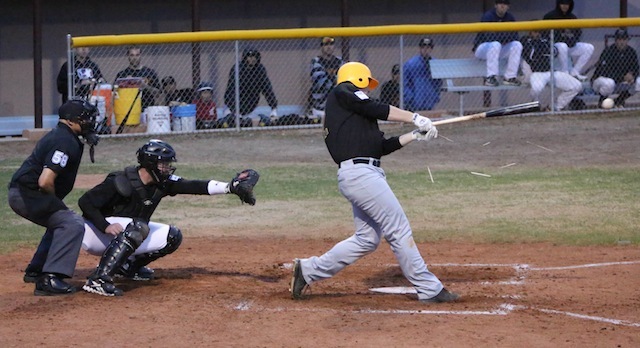 But Zach Kreegar hit a 2 RBI single, Doyle singled Kreegar to third and a balk brought him in. Mullen then walked another Oso before getting the final out to preserve the victory. Despite the loss, Raton manager Ray Hancock was happy. Those plays Hancock mentioned included what Droddy called �a fantastic diving catch, one of the best you�ll see all year,� by Trigger right fielder Florio to save the no hitter, as well as �several spectacular catches� by Oso Travis Fuquay and a �fantastic, over-the-fence catch� of a foul ball by Raton first baseman MIchael Lange. �There was just some nice play out there tonight. The fans got their six dollars worth,� Droddy said. And Hancock sounded pleased with how his team mpoved as the game went on. The teams will meet again Thursday in Raton beginning at 6 p.m.